Mixing white "˜n chrome makes a great combination. 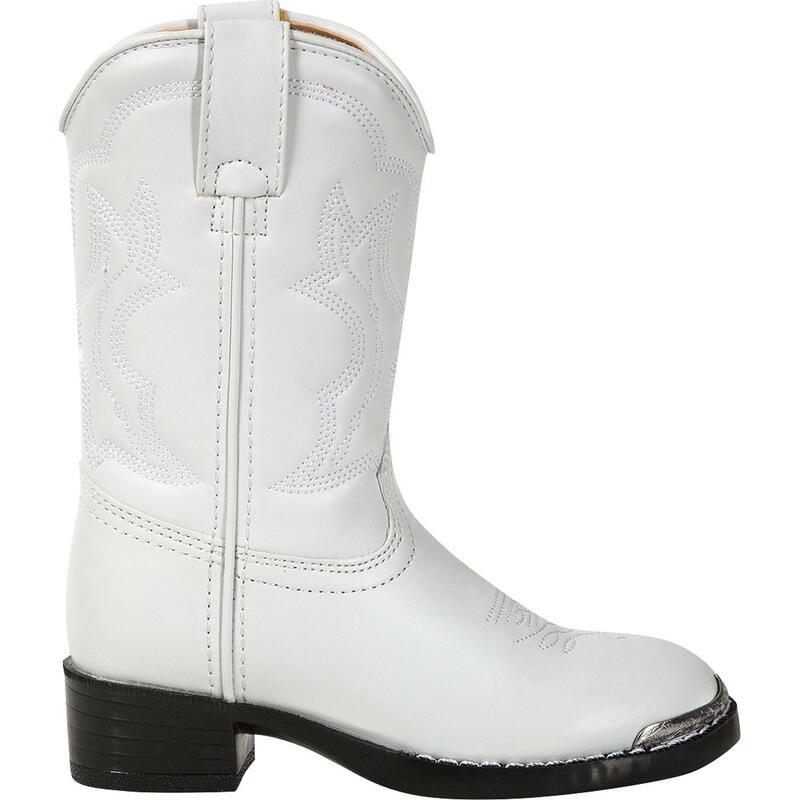 This Durango® Little Kid White Western Boot is stylish and your child is going to love wearing them. 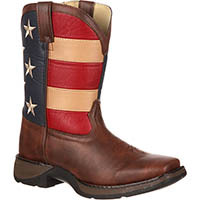 There's embellished, fancy stitching on the shaft to make this look like a grownup's Western. 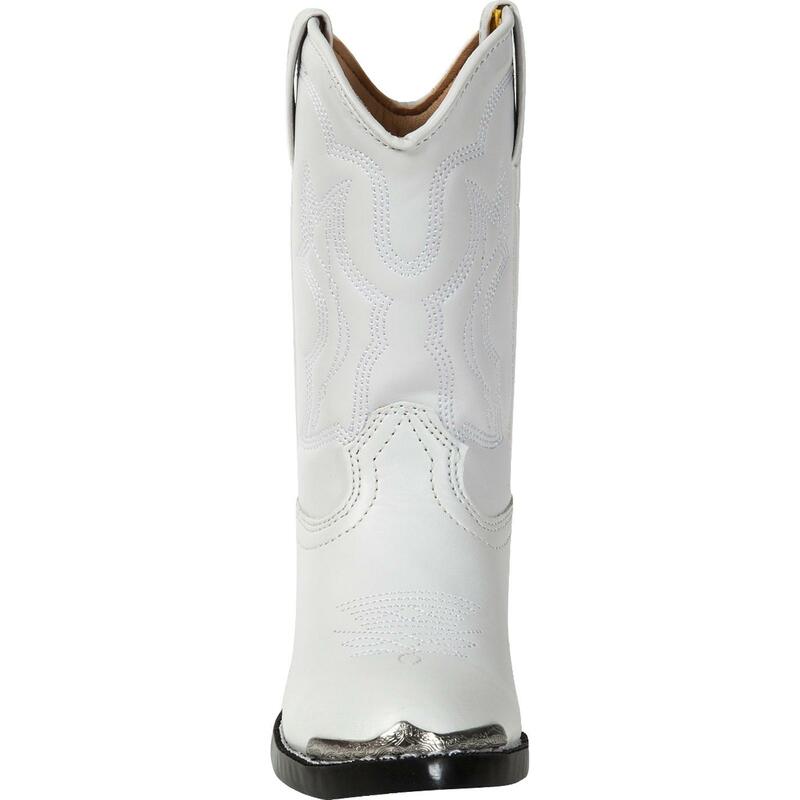 A chromed metal toe rand adds even more decoration to the front of these boots. What will you like best about these boots? 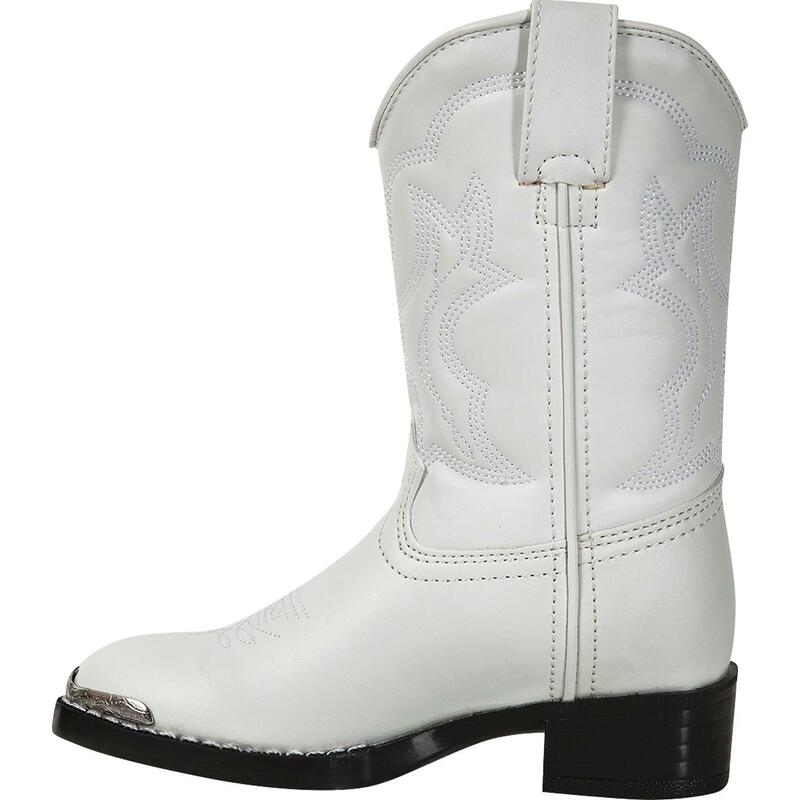 The upper and foot are made from a leather-like, white glove urethane. 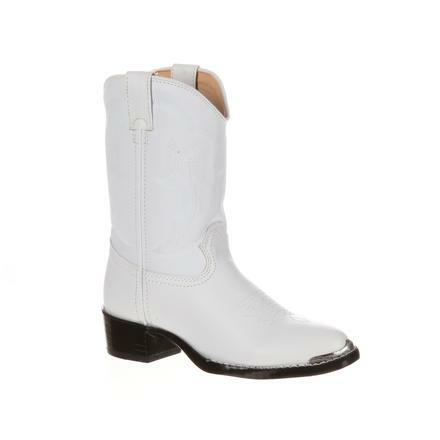 This means that the process to clean these boots is stress-free. 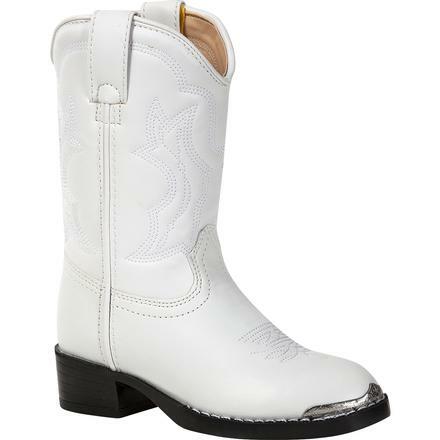 The authentic details (dipped top and pull tabs) aren't just for looks; they assist in getting the boots on easier. 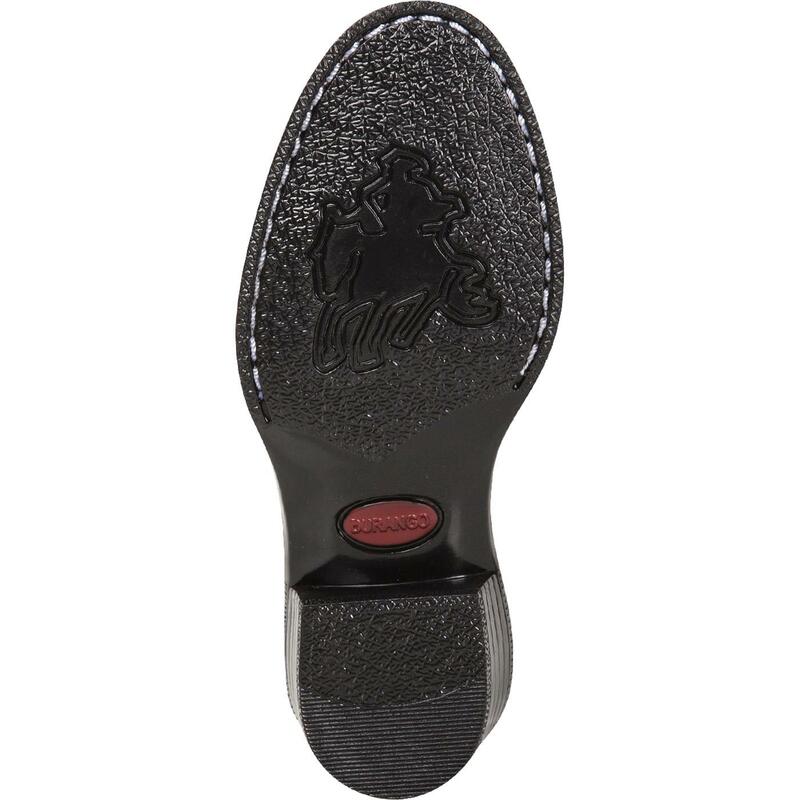 To keep your child's feet comfortable, there is a cushioned insole and heel pad. 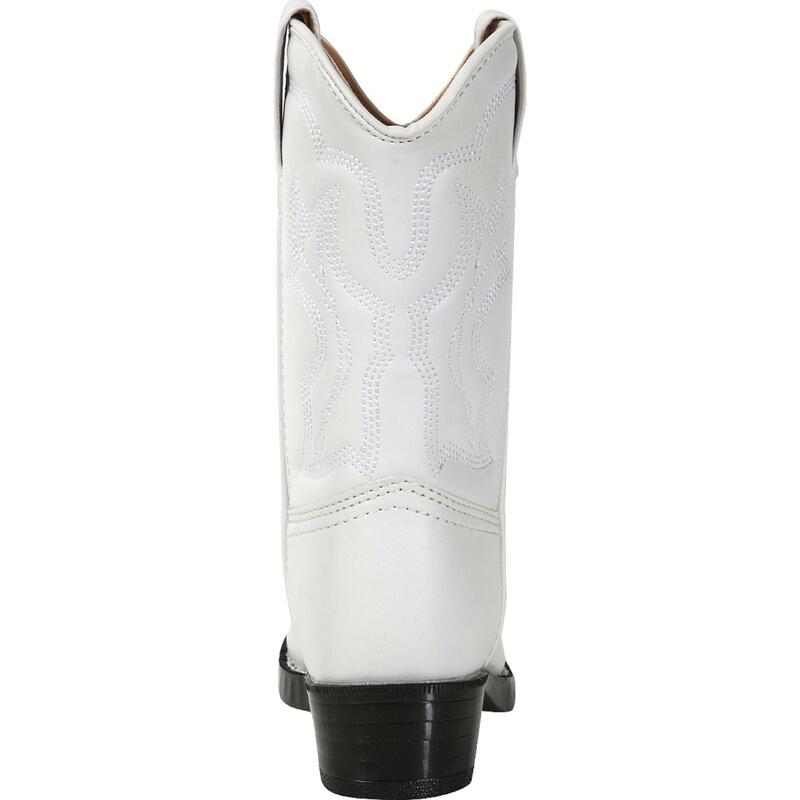 The PVC outsole is made to be flexible and durable. 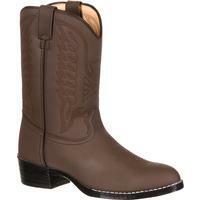 Plus, they'll have no trouble walking, because this western boot only has a 1 1/8" heel. 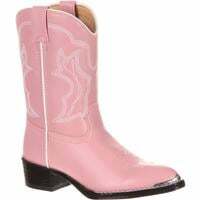 Surprise your child with a pair of these charming boots today!